The Case Crown Neoprene Sleeve is a MacBook Air and iPad case that protects your Apple products without adding much weight or bulk to them. It holds the iPad and MacBook Air snugly without room to move shift around inside of the case. Keeping your iPad and laptop safe should be convenient and portable. The Case Crown neoprene sleeve is both portable and offers incredible protection for your devices. 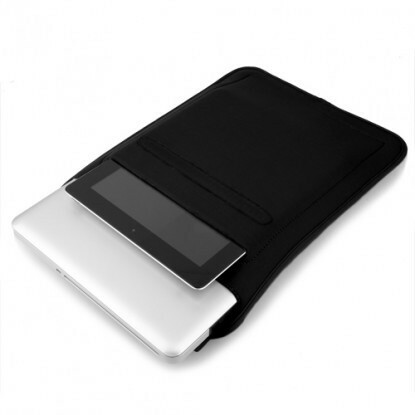 The Neoprene material is highly protective yet flexible to accommodate the rigidity of the aluminum Apple devices. Because of it's tough material, it does not tear or rip. Packing up your MacBook Air and iPad will work in the suitcase, travel baggage or even the everyday purse (or man purse). We tested the sleeve for several days. It went on a few trips and we used it to transport the MacBook Air around in our backpack. Its design allows for the MacBook Air 13" and the iPad to fit inside of it. It fits very snugly. There is little movement on either side of the devices, so it does not slide around at all. The material has a very good texture and feels good to the touch. The mesh neoprene is layered to provide multiple protective coverings. It did a great Job protecting the apple products. 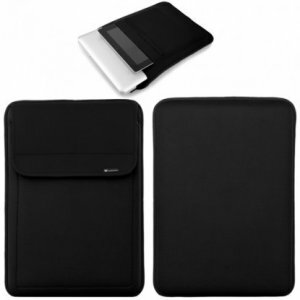 One nice thing about this case is the Velcro flaps that keep the iPad and MacBook Air contained in the sleeve. 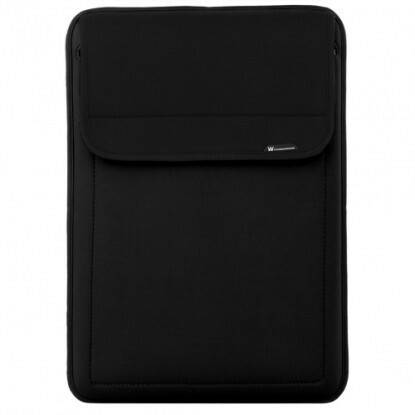 It keeps the devices snug and the stitching on the case is very well made. The case didn't get any rugged use from us, but it can probably handle some small shocks and scratches. 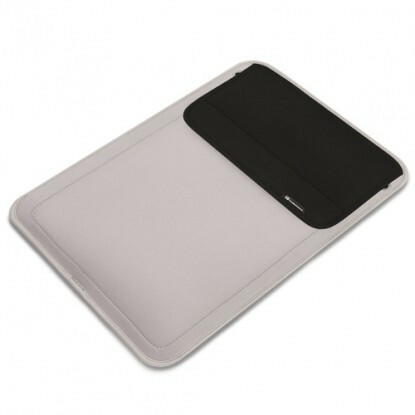 The sleeve is meant to pack up your MacBook Air and iPad quickly and easily. It does a great job doing that. This sleeve is relatively inexpensive compared to many of it's competitors. Especially since you can fit in both a MacBook Air and iPad. We have seen it listed for pretty low prices on Amazon, so make sure you check the link above to see the prices there. There is very little downside to buying this sleeve. It does exactly what it says it would do. If you do find yourself with some stains on the sleeve, you can easily remove them using cleaning solution designed specifically for neoprene. We have enjoyed using this sleeve and think you will too. What are a few of the positive features to the speaker system? What are a few of the negative features to the speaker system?